From medieval times the Tonbridge Town Wardens have looked after a series of bridges across the various branches of the Medway at Tonbridge. 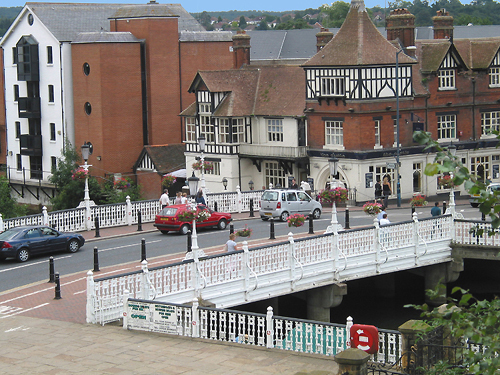 The main bridge, or Great Bridge as it was known, was located in the centre of the town at the foot of Tonbridge Castle. In 1776, a new stone bridge with three arches had replaced the original, narrower bridge with five arches, but by the late 19th century the Great Bridge was once again in need of replacement. In 1887, The Rochester Bridge Trust contributed £1,750 toward the £3,500 cost of rebuilding the Great Bridge at Tonbridge. In 1913, the Trust again contributed one-third of the cost of widening the bridge, amounting to £1,329, and a further £1,500 for widening the bridge a second time between 1925 and 1928.